Next of Kin His mother, Augustine Barton of Buffalo Creek South Gippsland, the property was called “Tarwin Park”. 9 Stone 6 pounds, blue eyes and dark brown hair. His father received a parcel of effects consisting of only an electric torch via Thomas Cook and the Demosthenes. Mrs. Barton wrote asking why there was only a torch. Mrs. Barton applied for a copy of the register of the Lone Pine Memorial with his name on it. 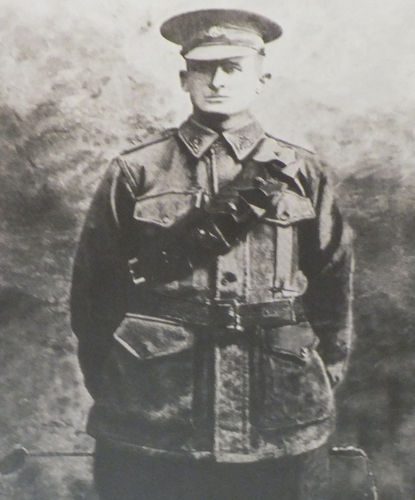 A report in The Great Southern Star told of the death of Ernie Barton and Tom Murray at Gallipoli. There is road called Barton’s Rd, which runs from Fish Creek – Meeniyan Rd and west to the Tarwin River.